Hey friends! 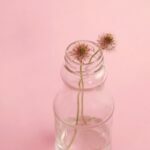 I told you starting today I will share my journey to becoming minimalist every Tuesday for 7 weeks. So first up is my kitchen, which is the heart of my home. I spend most of my life in this rectangular-shaped place called my kitchen. But this place also quickly became a dumpster for lots of things. I couldn’t wait to declutter it! Now I feel so light and my kitchen doesn’t look or feel so overwhelming anymore. Here is how I decluttered my kitchen. I placed two big boxes in the center of the kitchen. In them, I put in anything I had not used in the past three months. If I haven’t used them in the past three months then I don’t need them. Go away from me! Here is box number 1. – Trays. Lots of trays. 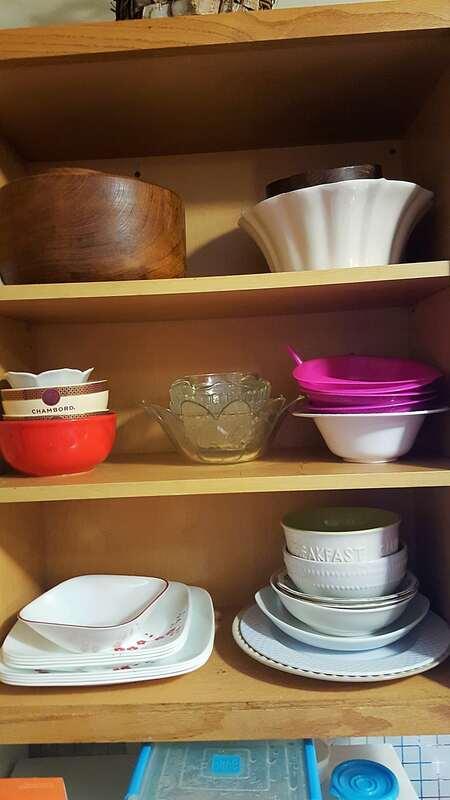 I only really need a couple of trays which are now sitting in my cabinet. – Portion control plates for the kids: I think I only served them food once in these plates. The plates gave me an idea of how much they should eat at each meal but I discovered that I don’t use them. Bye bye! 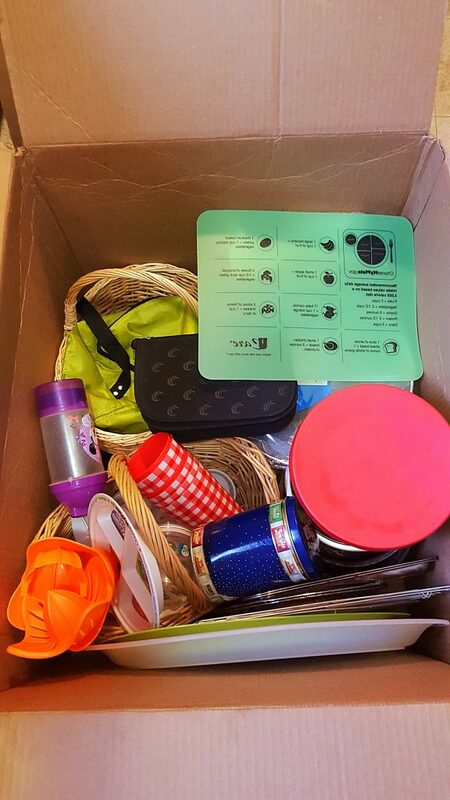 – Baskets: I have been such a collector of baskets. And I still love pretty baskets but these ones weren’t serving me in any way apart from occupying space on the cabinet. They won’t be missed. 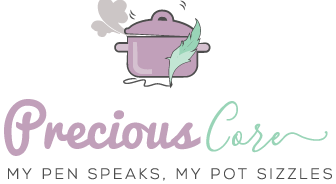 – Chistmas-themed containers, drinking cups, a weight-loss calorie-counting book and lots of other things I have never really used. Bye guys! 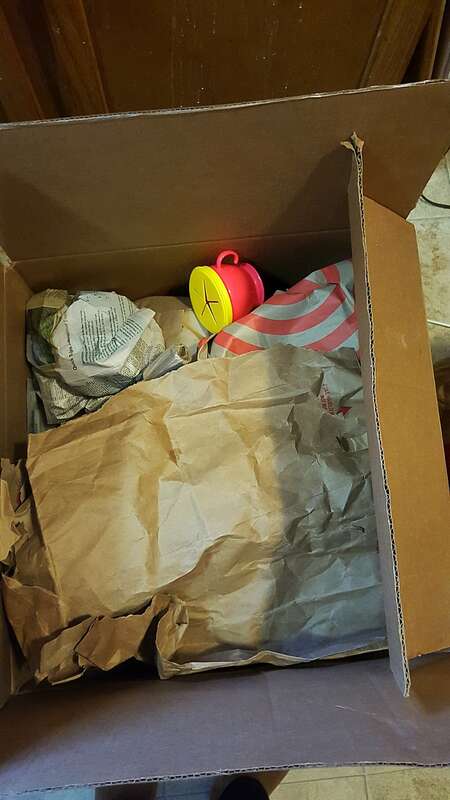 Apart from the plastic cup you find seeking for notice on the top, most of the box is filled with breakable items which I wrapped in paper shopping bags. You guys, I had about ten drinking glasses I wasn’t using. I kept thinking I might need them but in the past three years, I haven’t needed them. Bye bye drinking glasses! I also have lots of tea mugs in there. My tea mug cabinet was overflowing and sometimes I had to double cups so they could fit in. The irony is, I didn’t need all those mugs. Why would I keep them when I clearly can only drink from one mug at a time? Freedom! I also put away some appliances that take up space but do not serve me. Like my coffee-maker. Mr N once made coffee using it and it stayed there for days – no one drank it. We are not quite coffee drinkers. When I want to drink coffee, I go with instant coffee and that doesn’t need a coffee-maker. I will be taking both boxes to a thrift store to donate so they can re-sell the items. While decluttering, I had a couple of trash bags in which I put in broken items and other things that were basically just ahem, trash. They got filled pretty quickly! Decluttering takes time. It took me about three days to go through all the cupboards in my kitchen and I still have a drawer I need to declutter. So if you are going to do this, know that it is no 20-minute feat. Unless you already have a minimalist kitchen which just needs a little purging. In that case, high five sister! 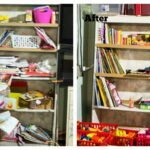 Decluttering goes together with cleaning and organising. That’s because you might need to do some wiping or washing and re-organising. Decluttering feels good! After all the hard work, it is such a breath of fresh-air! Decluttering is not the end. You have to choose not to buy more things that are not necessities. Otherwise, you will declutter only to clutter again. Now I only have what I absolutely need in my kitchen. But I am not done yet. After three months, I will go through the cupboards again and purge them of every impurities aka stuff I do not need. And you know what? I feel so light! Moving house(whenever that happens) would be a lot easier because there are fewer things to pack. Win! -No more purchasing refined sugar. Now I only buy unrefined sugar which is three times the price of refined sugar but it is much more healthy so I’m sticking with it. I use it (unrefined sugar) for baking and everything else that requires sweetening. Sometimes I use honey instead. -No more purchasing inorganic stuff. If you live in America, you should know a lot of things sold as food are really not food. They are genetically modified. When I came here I was purchasing things blindly but now I check my labels to make sure a product is “organic” before I buy it. I also started shopping at Whole Foods Market where quality organic products are sold. 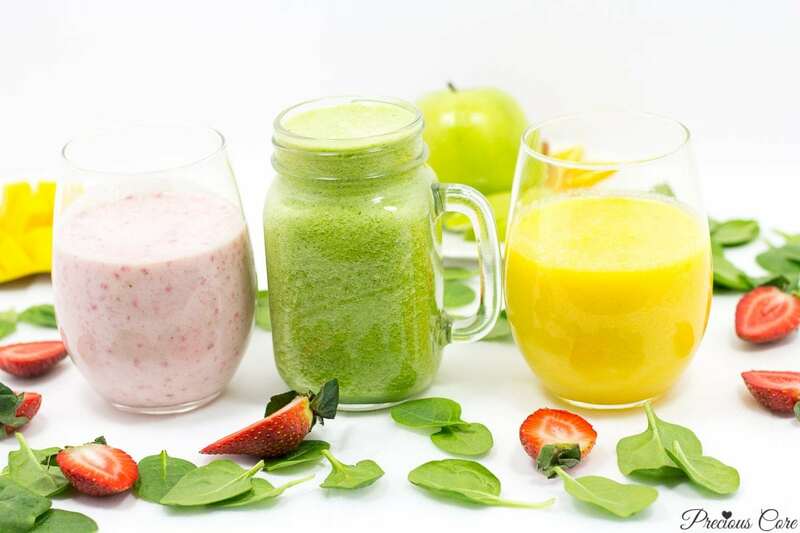 -Lots of fruits and vegetables. I feel bad if a day passes by without me eating lots of fruits and/or vegetables. And I make sure I have lots of them at home so I can pick some to nibble on during the day. I am also making lots of salads. That’s it, folks. My kitchen is decluttered and I feel lighter and so much better. Hope this inspires you in some way. 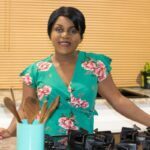 If you need kitchen organising tips, you can check out this post which I wrote a while ago. Up next is my wardrobe. I can’t wait to cleanse it from all its iniquities aka clothes I am not wearing and do not need. So check back next Tuesday, January 31 to see my report. 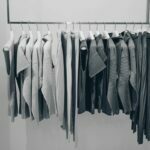 Update: Read the post on how I decluttered my wardrobe. Meanwhile, do you have any kitchen maintenance tips? 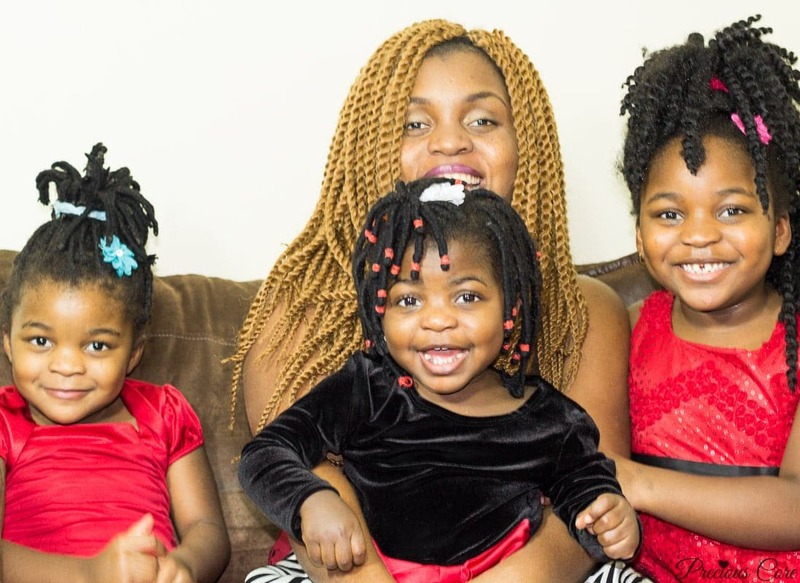 Do you have any thoughts about this post? Please share below. I’ll love to hear from you! Oh my sis, we are on the same decluttering journey. 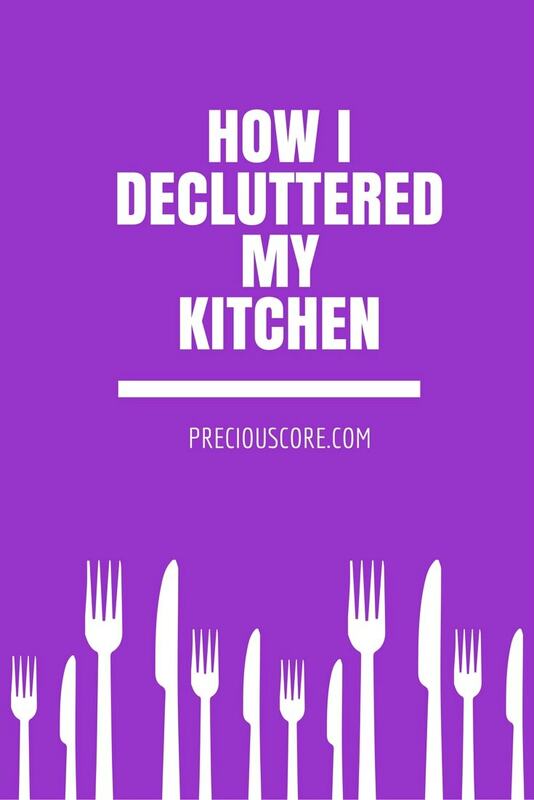 I did the same thing this weekend with my kitchen as I realised that I has cluttered a lot of kitchen stuff over the years especially while blogging. I also packed the things I no longer need in cartons and will be giving some away tomorrow. I am also doing a kitchen trade-by-batter thingy in the neighbourhood whereby, we exchange goods with other moms or families. Its crazy how I tend to hold on to some stuff and only realise when I need to get rid of it. EMOTIONS!!!! Great job. Your kitchen looks really good. I love the kitchen-trade-by-barter idea! That’s a great way to “recycle” stuff. Emotional attachment to kitchen goods is real. Now that I have let go, I do not miss any of the things. Such freedom! Thanks dear. It’s never an easy feat. Ive always been someone that hates to store up things so I don’t think I need that much decluttering.Even if I do it wont fill a box because I literally declutter every week.The feeling of ease and space is amazing. Good for you, dear. I often feel like I need some things but after several months I discover that I don’t. Nothing beats that feeling of ease and space! I am gathering the momentum to begin this journey of freedom. I’d like to hear how it goes with decluttering your wardrobe, that’ll be the most throbbing for me *shrugs*. Sending courage your way, sis. It’s so worth it! I’ll share my wardrobe process next Tuesday. 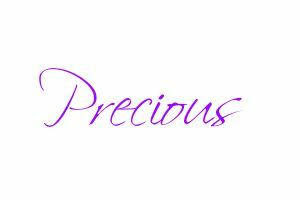 The air of fulfilment and freshness that comes with decluttering!!! ? lol. Your kitchen looks dope! I love the face lift! I cracked up at “cleanse my wardrobe from all iniquities “. Trust me you’ll get emotional with that one lol. Couldn’t believe how many gab age bag of throw away clothes and donate clothing I carried out! You should read or listen to “The life changing magic of tidying up” by Japanese writer Marie Kondo. I have it on audibles if u want to listen to it. I’ll send u my log in when ever you’re ready. I loved the write up! Minimalist in progress ?? waiting for my “Seven” lol. That’s eh, nothing beats that feeling of fulfillment and freedom after decluttering! I am so eager to be done with my wardrobe and have only clothes I absolutely love and can wear anytime. Looking forward to the audible, dear. Sounds like a really good one! I many not get as detailed as you but I sure need to do some decluttering. Amen. Go for it, girl! It really feels good decluttering. Been on that journey since December last year. Decluttered my wardrobe 4 days ago. I usually hold on to things but this time I was hard on myself. Gave out stuff I didn’t need and it gave me great joy that someone else needed them. Can’t wait to be done with my wardrobe, Bubu! I already decluttered my shoes and it feels so good! See eh, I’m looking forward to moving house and de-cluttering EVERYTHING! Like I’m so excited thinking of it even though I don’t have much i think! 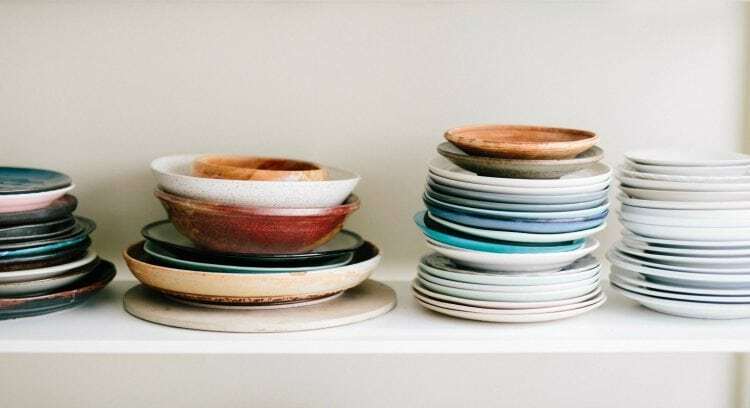 I don’t a personal kitchen yet – it’s my mum’s not mine lol but I know first hand how stressful decluttering is especially with having to clean up. It does feel lighter after though. I love your new food choices, really hygienic. Anticipating the next post. A clean kitchen is like a breath of fresh air. I have an aunt who declutters once a quarter. There is always something you can give away, however I could not send my coffee maker away, we love each other too much! lol! Lol at your coffee maker! Mine has gone to a good home. You inspiring me to go home and declutter my kitchen. Really good post! Glad this inspires you, sis.